Finally the truth behind those “Make $5,000 a day” signs you see. 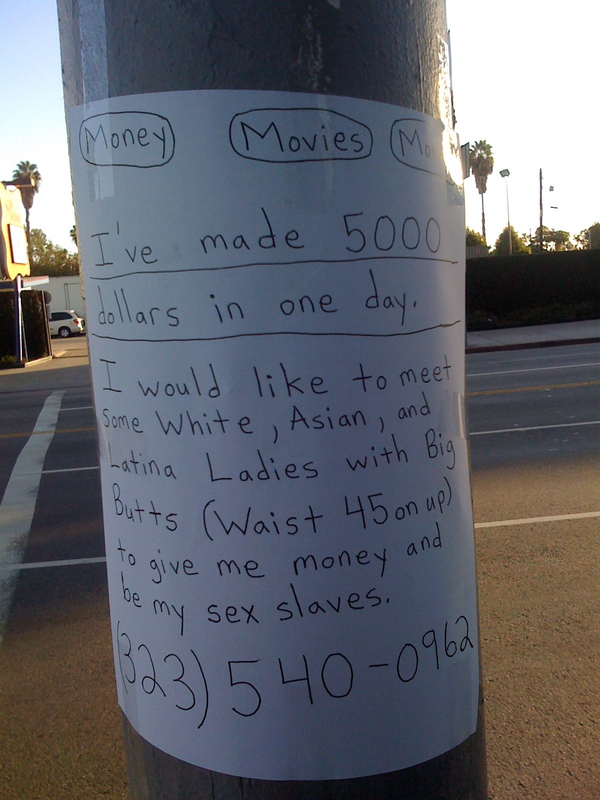 Brad and I were in Hollywood having a few pre-radio show beers at a great local restaurant and right before we crossed the street I saw this sign/offer taped to a poll. I had to get a picture of this creative marketing….